Tonight at Cannes, the story of heavyweight champion Muhammad Ali’s fight with the government over the his refusal to fight in the Vietnam War is the subject of the fascinating new drama, Muhammad Ali’s Greatest Fight. The film tells the story of Ali’s famous courtroom battle. 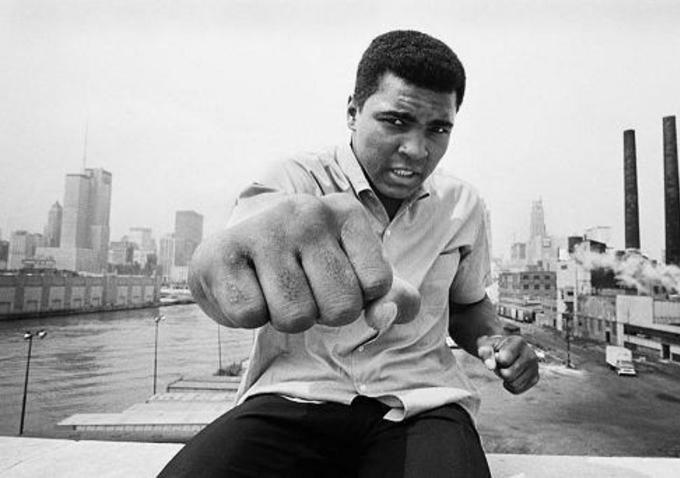 After being drafted to the Vietnam War, Ali claimed conscientious objector status on religious grounds, which therefore lead to years of dodging punches from the U.S. judicial system before finally facing the U.S. Supreme Court in 1971. Director Stephen Frears’ (The Queen, High Fidelity, Dirty Pretty Things) latest film takes the focus away from Ali and puts the camera on the nine Supreme Court justices, lead by Christopher Plummer’s John Harlan and Frank Langella’s Warren Burger, who took on the case. While Muhammad Ali’s Greatest Battle only spans several weeks, Frears juxtaposes Ali’s story with the changing landscape of the American culture. The screenplay was written by Shawn Slovo and the film will make it’s debut tonight and will premiere on HBO this fall.